The online dating industry is thriving, with millions of subscribers and thousands of success stories out there. Match.com and eHarmony are two of the most popular dating sites out there right now, and there are thousands of others. These two sites seem to be leading the way, and even though they have positive reputations and a significant share of the market, they are not risk free from scams. 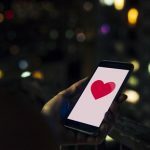 In fact, they are far from risk free, so it’s important for internet users to understand the risk before jumping into the world of online dating and romance scams. It’s great that people can find the love and relationships online, but the dangers are real, and the consequences can be severe. Online dating scams are responsible for millions of dollars in losses every year, and the figures can be daunting. The Australian Competition and Consumer Commission reports losses of $89 million to romance scams annually. The Internet Crime Complaint Center (IC3) in the United States received 6,412 complaints for love scams in one year, with a total reported loss of almost $82 million. The list could go on and on from country to the next, and the real losses are many times greater than what authorities report. The reason is that most scam victims never report the crime to authorities because they are embarressed or feel nothing can be done. The truth is, the millions of victims and millions of dollars stolen is just the tip of the iceberg. No dating site is immune from fraud, but the largest of them are having trouble controlling it. Why is getting so hard for Match.com or eHarmony, and other sites to stop scam? Private investigators help explain the risk, and why it’s nearly impossible for dating sites to prevent. 1. Dating sites have their own business. The purposes of online dating sites and social media sites is to connect users, and provide a platform where you can mingle and socialize online. The more users and subscribers, the better for everyone. But, dating sites are not in the business of private investigation and background checks, so it is simply not possible for them to verify their millions of users. Attempting to do so would be cost prohibitive and raise the costs dramatically for users. The best they can do, they say, is educate users about the risks and posts tips and warnings on their websites. It is up to users to understand the need for background check investigations to keep them safe. 2. Scammers are good at their trade. Dating sites can try to spot and block users that have been reported as scammers by several victims. But how long does it take a victim to find out he/she has been scammed? International private investigators report that most people who get a dating background check because they are feeling suspicious have been in contact with the scammer for at least 6 months. By the time the victim finds out, the damage has been done, and considering that only a few of them report the crime to the dating site, the scammer has likely duped many other users on the same site and possibly may be operating multiple profiles. So, even if the site takes down the profile, chances are the criminal will continue to operate on the same site undetected, targeting victims. Think it couldn’t happen to you? Think again. Scammers are experienced con artists. 3. A global business with global victims. The days of West Africa scams may be coming to an end. You know about those countries, and you’re not falling for any scam, you say. But, did you know that many criminals and accomplices now operate from developed countries? Criminals often create profiles that are exactly what you’re looking for, and Mr. or Ms. Perfect even has a profile showing she lives down the street? Want to try to verify her yourself? Your internet “research” will show that she is real, and you will find other information online “confirming” she is real. But, a trained private investigator can examine the subject on a different level, and provide you with clear evidence on whether or not the person is real. It can happen to you no matter how skeptical and cautious you are. 4. Anonymous accounts and profiles. How hard is it to get a new email address and open a new account? How many accounts could a scammer have open at the same time? The Internet protects anonymity in many ways, and although this is good for regular people who want to protect their privacy online, it also helps scammers get away with serious crime. The use of Virtual Private Networks and other tools make scammers untraceable. Dating scammers can be located in Nigeria or Ghana often use a U.S. IP address and phone number. Internet criminals may even assume real identities, so when you try to verify yourself, you will be convinced this person is real, because the scammer is using a stolen identity. Scammers also try to get victims off the dating site so they can no longer be tracked, and prefer to use email, instant messaging and Skype to communicate with victims. 5. Even dating sites create fake identities. The accounts opened by scammers are fake, but the only people that lose from this situation are the victims. Dating sites are still making money out of all those fake accounts. Match.com has a pending class action lawsuit in the U.S. District Court that claims that more than 60% of the profiles are fraudulent. Although there is no evidence yet that this is correct, it is a serious allegation and a sign of how serious the issue of fake identities and profiles has become. There are also lawsuits involving dating websites creating their own fake profiles! Most dating sites give tips and constantly post information about romance scams to alert their users, but the truth is that in the end, people who use these sites at their own risk. Verification and proper background check investigations is the responsibility of internet users, not dating sites. Victims of dating scams and romance fraud can tell you that this is serious crime. Victims can lose their life savings, be blackmailed, have their identity stolen, and much worse. In extreme cases, victims have been abducted, assaulted or even murdered when traveling to meet their online date. U.S. Embassies in Ghana, Nigeria, Romania, Ukraine, Russia, South Africa, Philippines and Malaysia have a long list of horror stories and warnings. 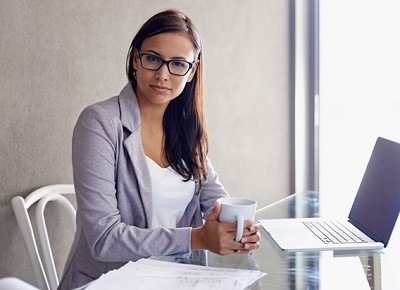 There are many reasons why getting a dating background check is important, and if it is done by a trained investigator, it can save you from serious financial loss and emotional stress. Have you met someone online? Get a free quote today!